The day of our induction, they asked us if we would like genetic testing done on our baby. They warned us that it would be expensive, but may give us answers as to why we lost the baby. Not only would it give us these answers, but we would find out the gender as well. We didn’t care about the cost; we just wanted to know. After all, Todd and I were on the brink of deciding if our family was complete. We needed all the information possible before we made that very difficult decision. I’m not going to lie and say I didn’t think of Nash. What if there was something wrong with him, something they didn’t catch, something Crue may have as well…like some sort of genetic heart condition? Waiting for those results was excruciating. At that point, we felt we may be done having kids, but we wanted to make that decision for ourselves, not because of some condition or genetic error Todd and I might have that forced our hand. A couple of weeks later, our doctor called and left a voicemail to call back. I am terrible with my phone, and didn’t check my messages until the day after when she called again. It wasn’t like her or her office to be so persistent. I knew they must have the results. Driving to the office that day, I was filled with anxiety. I told Todd to go to work because I know working and staying busy helps him. There was no reason for both of us to be there. I regretted that decision as soon as I hit the waiting room. I wanted him there. I wanted to be comforted by the only other human on this planet going through exactly what I was going through at that very moment. I wasn’t sure what I was so nervous about. What was I hoping to hear? What was a good result? It reminded me of getting the call that Nash’s autopsy was in. Not nearly the same level of anxiousness, but similar in the feeling that we may be getting life changing news. I bit my lower lip and tried my hardest to fight back tears as I pictured my boys. I braced myself for what I was going to hear next. She then said, “He had Down Syndrome”. It took some time to process what she said and my feelings about it. This news hurt for a couple of reasons. One, because I could picture a little boy with Down Syndrome, and just that image made me happy and sad all at once. Todd and I had always said it would never be a question, we would have a baby with Down Syndrome and love him/her wholeheartedly. We have both been around these children, and even joked years ago that the world would be a better place if we all could bottle their happiness and love of life. I imagined a happy little boy with that familiar smile and my tears began to flow. It felt as if in that moment I had met him in my mind. The other sadness was more of a guilty feeling because I did have some relief. I know that not all children with Down Syndrome live long lives. Todd and I would have most likely buried another child, and I just don’t think we could have beared that. I also have friends who have children with Down Syndrome, and lets face it, its hard. These children have medical issues and go through multiple surgeries. I felt like what should have happened, naturally did, and it made me sad that I felt that way. The doctor was relieved to tell us the flu did not cause it. She saw how guilty Todd felt for giving me the flu, and she was happy to give him some relief from that burden he was carrying. As soon as I got to my car, I started bawling. I don’t know if it was because I had been trying to hold back my tears for the last hour or what? I just remember telling myself, get to the car before you lose it. As soon as I shut the door behind me I was hiccup crying. I called Todd to tell him. As I told him, his reply was “aww” and then silence. I knew what that “aww” meant. He was picturing the same little boy I was, the boy we would have loved. I remember saying through tears that I wasn’t sure why I was so upset. We chatted for a while and then I hung up. Over the last few months, Todd and I have talked a lot about our family. These were emotionally heavy and draining conversations. Todd and I always envisioned having a family with more than one child. We both have siblings that we adore, and we wanted that for Crue. However, we didn’t know at the beginning of our journey what we would have to endure to get that. Our whole marriage has been about creating the family we wanted. The first four years we spent trying to get pregnant and and dealing with the yo-yo of emotions that comes with fertility issues. Once pregnant, we thought those problems were over. Sure, we were having children later in life, but there was still plenty of time to have a couple and not be too far over the age we had wanted to be. Having Nash was everything we dreamed. We were on an all time high, just to lose him five short months later. I remember thinking what if we never get pregnant again? Four years it took for him, we don’t have four more years. Crue, however, had a plan of his own. He came so quickly and filled our broken hearts with so much love. The anxiety caused by the thought of losing him during the first year of his life was brutal. It wasn’t until he was almost two when we felt truly happy. In the past were our fertility problems, in the past was the loss of our baby, in the past was the worry of Crue falling asleep and never waking up. We were ready. We were calm for the first time in a long time. Here comes baby number three, the baby that would complete our family. Then came the miscarriage, the hospital bills, the emotional and physical toll. We were right back where we started, anxious, scared, and sad. We have spent our whole marriage trying to do what comes so naturally to most, having a family. We want to be happy. We want to enjoy what we have. Everyone who knows me will tell you I always wanted three boys, that was my ideal family. Something about being the only girl of the house seemed sweet. I envisioned little boys covered in dirt, with skinned knees and ball caps. I could imagine teenage boys raiding my fridge and picking on me the way there father does. 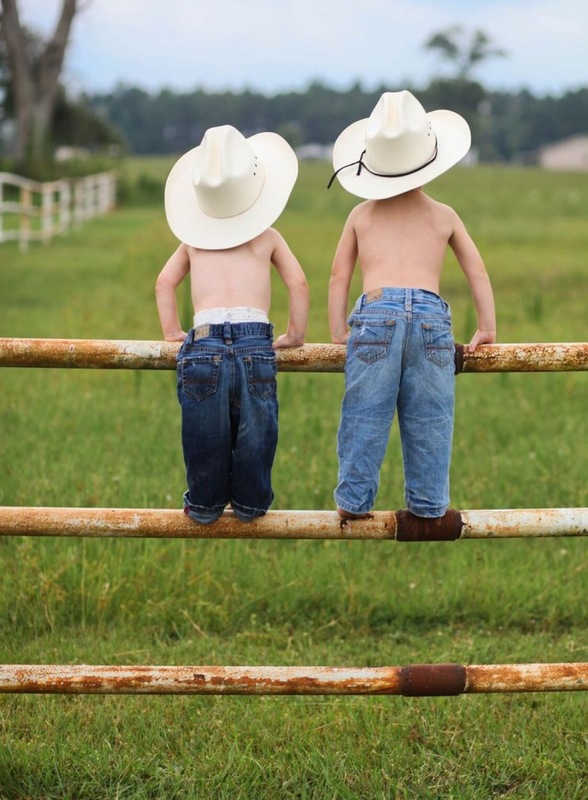 I have ALWAYS adored little boys….they simply melt my heart. In the end God gave me that, just not the way I planned. Three boys, two of which are angels. Our family is complete, it wasn’t what we had pictured when we started on this journey but in life, is it ever what you pictured? 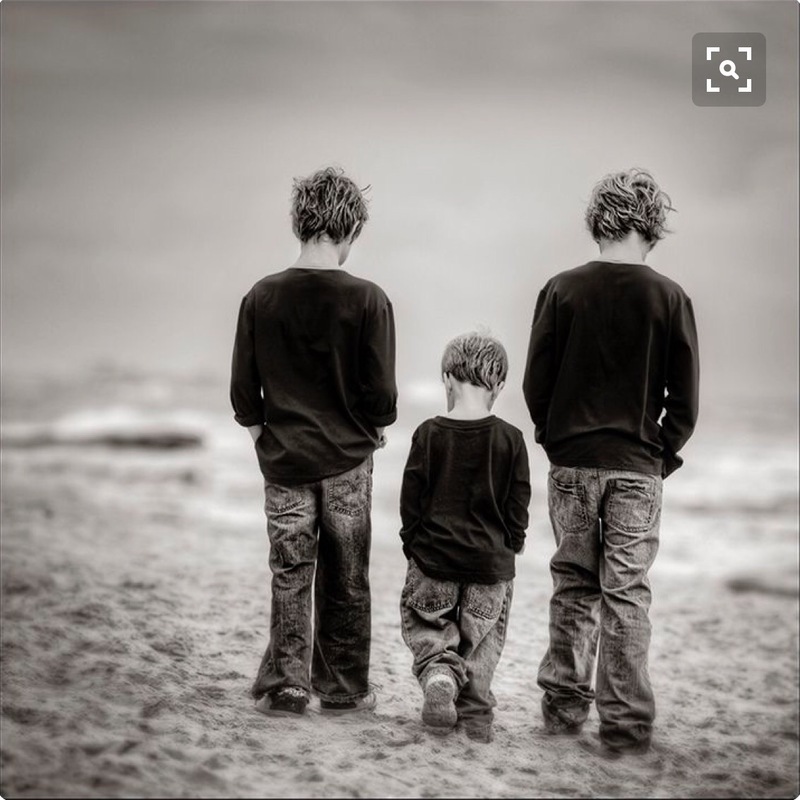 I know when I am older and I tell people about these past seven years of my life, the first years of my marriage, I will smile and cry reflecting on my boys and all Todd and I went through to have them. Pictures of what could have been will always plague my mind. I will envision myself the “boy mom” I always wanted to be. I think every mother, no matter her circumstances, has a hard time saying she is done, and that is no different for me. I have shed many tears over these last few years, and I’m ready to be happy and try to heal. As hard as it is to say it out loud, My family is complete…and if for some reason God decides differently, I’ll be over the moon to hold another rainbow in my arms. So much love and support coming your way. As always, your courage and grace have me awestruck. Your trials have been gargantuan by any standard. I truly wish you the peace and healing you deserve.